Europe is known for its cultural diversity as it has many countries on a rather small place of land, compared to Asia or North America. So much cultural diversity means that you will have various interesting customs and traditions in every part of each country, not just Europe. There are countless traditions you could explore but these should be the most interesting ones. This tradition dates back to 1905 and is a celebration of finishing high school. A hundred years ago, Norwegian high school graduates would be given russ caps, or russelue upon their graduation, as a sign of moving on to more advanced forms of education. 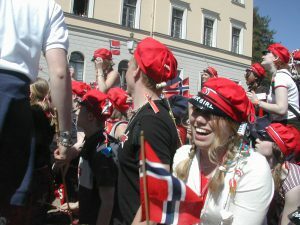 In modern times, these celebrations start on the 1st of May, every year and last until the 17th of May, which is also the Norwegian National Day. 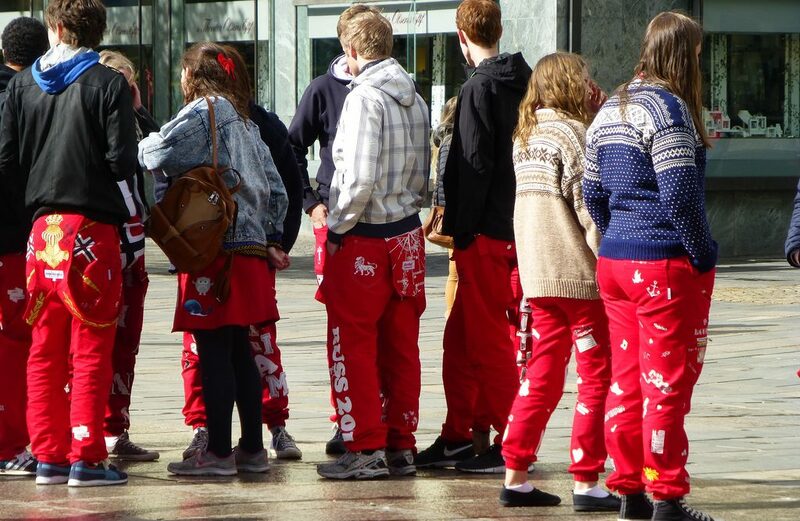 During these time, students wear red clothes and drive red vehicles. They also drink a lot. Some make things interesting by appointing people with titles such as party coordinator, or a russpresident and others such as journalists and editors and a responsible person to keep everything in check. This tradition is a rather competitive one. It is called wife carrying and requires male participants to carry a female teammate over a course of obstacles. The fastest team wins. Such an interesting and entertaining tradition is said to have origins in the 1800s. A band of thieves was stealing food from local villages and taking the goods to a forest. They also stole people’s wives and carried them off on their backs. From a bleak history lesson to a fun tradition, wife carrying certainly lightens up the mood. This name translates to Polar Bear Plunge. It is a festival that takes place in Scheveningen every winter. 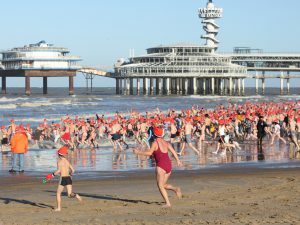 This festival sees people not only in Scheveningen but in other cities, too, swim in the cold sea. A record was established on January 1st, 2012 with over 36,000 people across the country. This is another cold, winter activity which is much more religious in nature. People swim in the cold rivers in various cities all over Serbia with the intention of getting to the cross first and taking it back. The person who takes the cross back is supposed to have a year of good luck. This tradition takes place on Bogojavljenje, or the Epiphany, which is a Christian holiday. The date is January 6th but the swimming tradition may even be held a week or two later. This tradition is known as the human chess game. It takes place every year in the town of Marostica, a bit northwest of Vicenza. Human chess figures play a game of chess in a city square, near a castle. This is where the event originally happened, in 1454. Lord Taddeo Parisio wanted his daughter’s suitors to play a game of chess rather than have a sword duel. There were no losers, technically speaking, as the winner took the older daughter and the loser the younger. Today’s matches aren’t played for a hand in marriage but rather for fun. Europe is very exciting and full of traditions you can explore. Wherever you go, every corner of every country will have something to surprise you with.